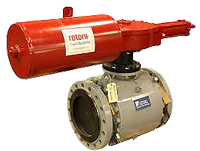 Electric quarter-turn and multi-turn actuators are offered separate or as part of a valve assembly. Valves are preferred brands provided with test reports and material certifications. Special wiring and modification is available. Customer acceptance tests are routinely done in our shop. 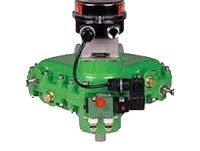 Pneumatic quarter-turn and multi-turn actuators are offered separate or as part of a valve assembly with or without instrumentation. Valves are preferred brands provided with test reports and material certifications. Special wiring and modification is available. Customer acceptance tests are routinely done in our shop. 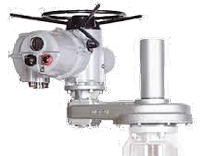 Pneumatic actuator control instruments including airsets, lock-up valves, volume boosters, relays and positioners. We can design, install and test actuator mounted systems on a panel or in an enclosure. Electronic actuator control instruments including limit switches, position transmitters, solenoid valves and pressure switches. Connector and communication components for popular protocols like HART, Modbus, PackScan and ASi. Worm and bevel gear valve operators machined from stock to fit your valve. Custom designed valve adaption hardware for any actuator combination. Individual components fabricated to highest industry standard. Most major brand drive bushings are available. Custom machining of stock or supplied drive bushings also available.